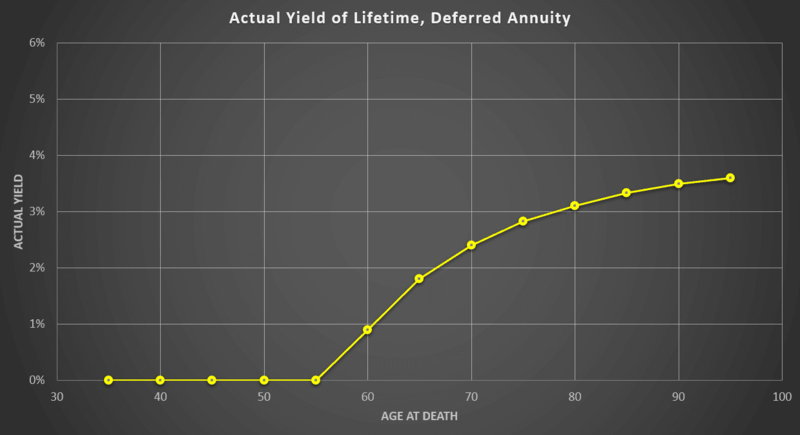 In multiple conversations with different people I've realized that they don't quite understand how annuities work and why they seem too good to be true, so I figured I'd explain a tricky one with an example. One type of annuity is a 'deferred income annuity'. With this type of annuity, you invest some amount with a company, and after a fixed period (hence the 'deferred' in the name), they start making payments to you. An example usage of this is if you are going to retire in 10 years and don't want to risk losing your retirement money due to a market crash in that time period. This is the specific type of annuity that has most confused the people I've talked with, so I am focusing on it here. To analyze this, I wanted to use easy numbers, so I'll assume a $100,000 investment that I want to start receiving payments from in 10 years. I want those payments to continue until I die. Assume I am 30 now. Fidelity provides a calculator for estimates that I will use for the numbers. Using that, I get ~$500 for the monthly payment. The way this works then is that I would give them $100,000, and 10 years later they would start giving me ~$500 per month and continue until I die. What is the actual yield on that investment? What is the actual yield then? That depends on when I die, but it will always be less than 6%. This means that the money is effectively yielding nothing at all for the first 25 years of the investment, and then inches its way up to a lower yield than you'd immediately guess over time. If it's worth $100,000 10 years from now, then the value today assuming the 6% interest rate from earlier is ~$55,840. That's the gap. In the best possible situation (you live forever and they pay you forever), you're getting the 6% interest rate on roughly half of your money ($55,000 instead of $100,000). The company selling the annuity keeps the rest. To calculate the actual interest rate you're getting you'd have to solve that equation for r. I don't know how and I'm leaning towards it being impossible to solve directly. You can do it numerically for specific values of r and t though. They aren't really a scam, but they are confusing enough that you should use caution. They advertise a rate and make the information clear to people. Nothing is hidden. It's just that it seems almost too good to be true and I think that's because people often don't understand how much money they're losing by letting their investment sit with no yield for an extended period. Just remember that the advertised rate on an annuity and/or the rate you get by comparing the payments directly with the price is not at all equivalent to the rate on other investments. Also keep in mind that inflation eats into the future value of your money and annuities that account for inflation have lower payments because of this, so remember that $6000/year 20 years from now is likely worth much less than $6000/year today. Keep this in mind when shopping for annuities. You can use the above shortcut for the lifetime payout to calculate the actual best case rate, and then decide for yourself if you think you can beat that with other investments. You should be able to get the person selling you the annuity to do this calculation for you also. I do not work for a financial company and do not have access to details of their products. There are a lot of annuity types out there, and I am only analyzing one using estimates, so this does not apply to everything. 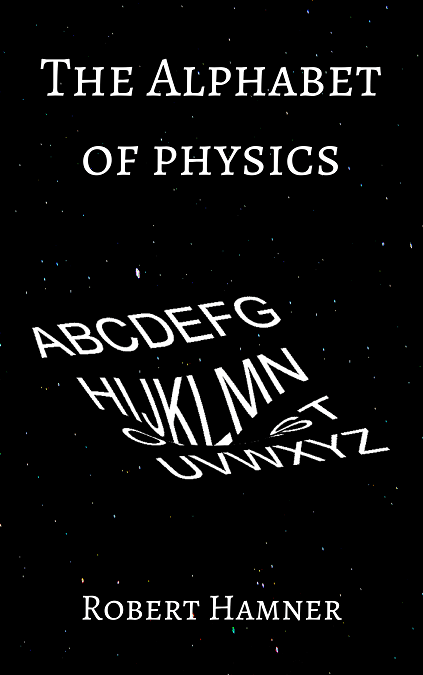 The general logic and equations do hold though. This is mostly to give you an example of how the math works so you can properly evaluate investments.